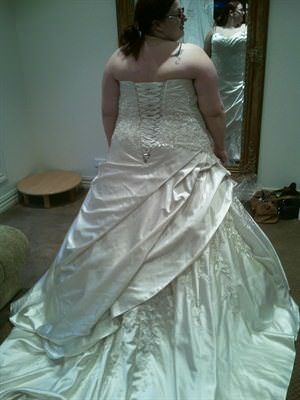 A beautiful, fully boned and beaded satin ball gown. 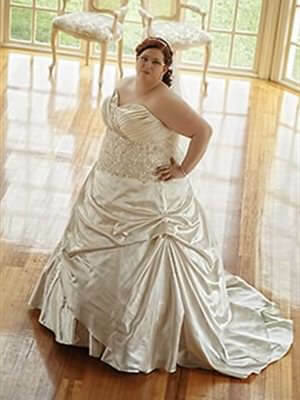 This original Roz La Kelin will make you feel like a princess with it's full skirt and manageable train with beading the length of the train and covering the entire bodice, with a particular emphasis on the sweetheart neck line. <br><br>A tulle layered hoop is also available for an extra $100 (originally $250 and suits the dress perfectly).